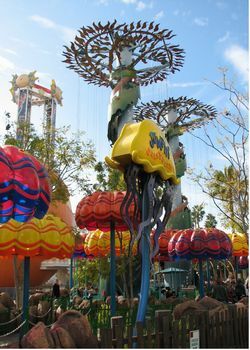 Jumpin' Jellyfish is a drop tower in Paradise Park at Disney's California Adventure. We say... skip it. The minimum height to ride is 40 inches. A rather gentle, up-and-down ride under a parachute-shaped "jellyfish."